Size of the room. Everything is functioning well. Owner very helpful and explained things well, Breakfast superb and service very friendly. Good performance-to-price ratio. Everything was perfect. Patrizia and Giuseppe were the perfect hosts. From assisting with parking to an amazing breakfast and everything in between. 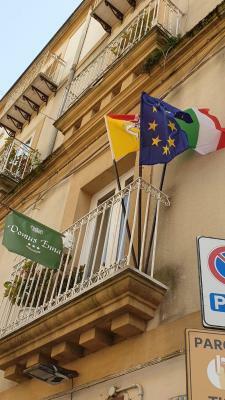 We loved our stay in Enna so much. We will be back. Holy Week in Enna is spectacular. Thanks for the great stay. Special thank your for suggesting Sperlinga, we had a great visit, and a beautiful driving day. Enna is certainly a beautiful part of Sicily. The owner was very kind and helpful. They carried our luggage into the room through several stairs and parked our car in their private garage. The breakfast was good with many options. 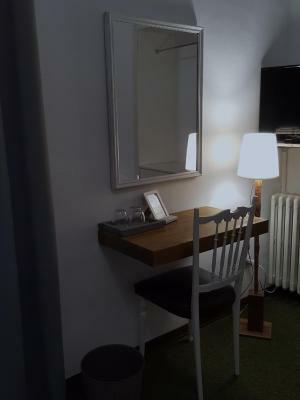 The room was very clean and spacious and the bed was really comfortable. I really liked the bathroom which is spotless and comfortable. Our hosts were delightful and very helpful. Delicious breakfast. Comfy room and great location. They are extremely helpful and make your stay very pleasant. 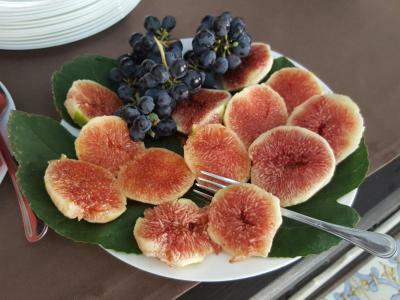 We appreciated how they hosted us, one of the best stays in Sicily. 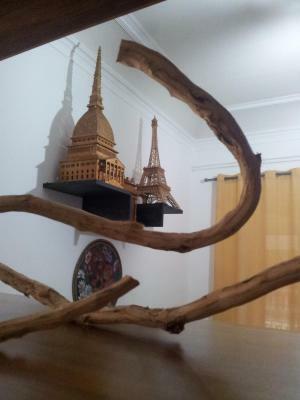 Great location in the heart of Enna - higher up on the hill so it made walking around easier. Pleasant room. 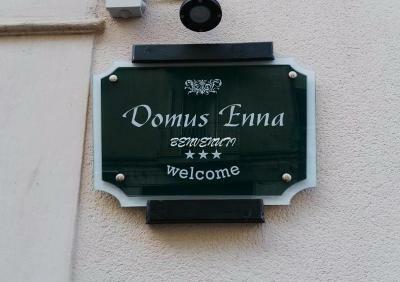 Domus Enna is a small, beautifully decorated, spotlessly clean B and B right in the centre of Enna. 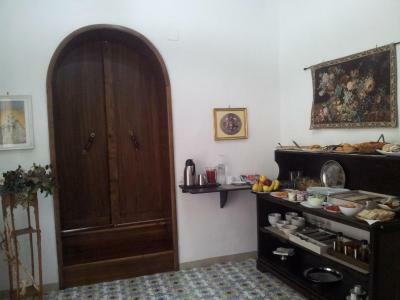 The beds are really comfortable, the room was spacious and the breakfast was delicious. 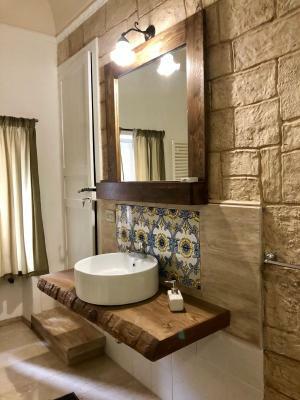 But the best thing about Domus Enna was Patrizia and Giuseppe, who gave us the warmest, friendliest welcome we got in Sicily (where everyone we met was warm and friendly). Very highly recommended - great place! Every room include a flat-screen TV with satellite channels. Certain units have a seating area where you can relax. 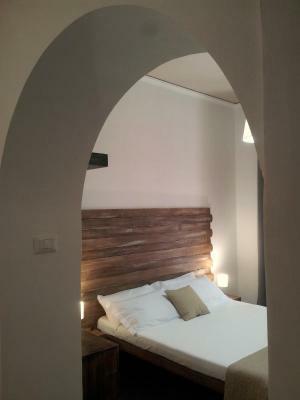 The rooms include a private bathroom with a bath or shower and bidet, with free toiletries and hairdryer provided. A continental breakfast is served daily in a seating area with panoramic view. Shops, restaurants and cafés are located close to the property. 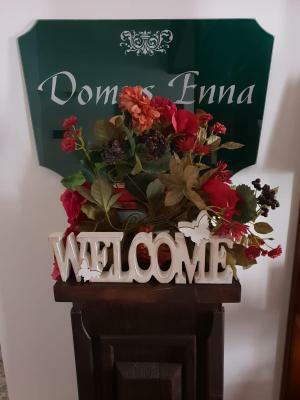 B&B Domus Enna is a few steps from the Cathedral and less than 10-minute walk from the Castle of Lombardia. 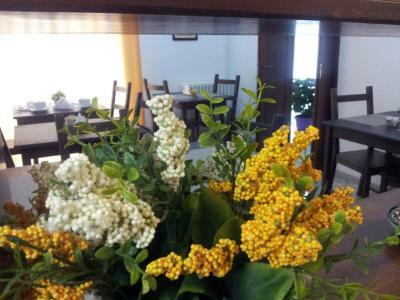 Piazza Armerina is 30 km from the property, while Catania Airport can be reached by car in 1 hour.